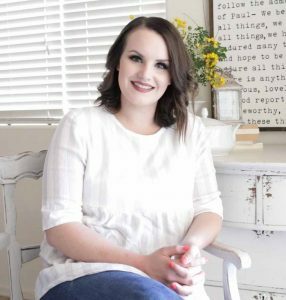 Today I am so excited to be teaming up with 9 amazing bloggers!!! 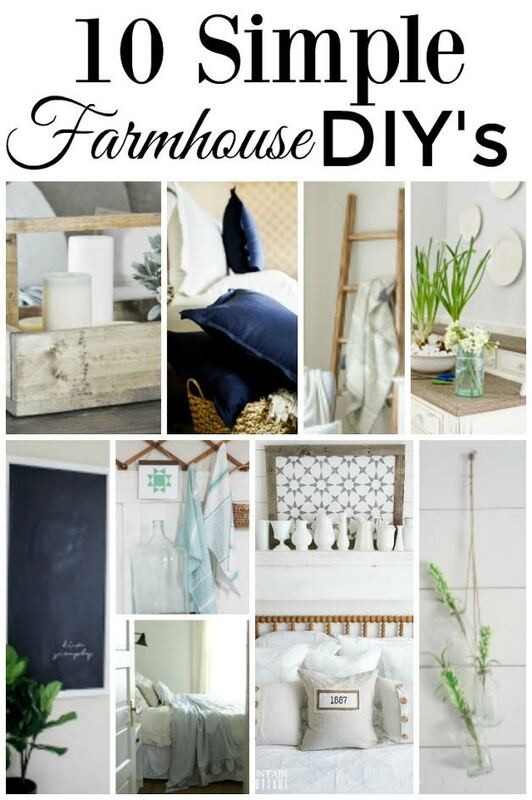 To bring to you some freshly made DIY farmhouse inspired projects!! Scroll to the bottom of this post to link to each one!!!! Several years ago my husband made a faux mantle shelf for our formal living and dining room. 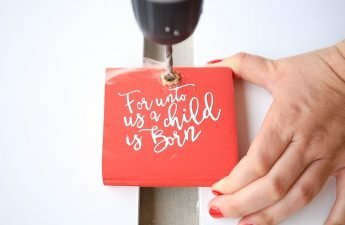 I get questions about how we made it all the time but it was made pre- blog, So I knew I wanted to re-create this project so that I could share the steps with you all in both video and picture format! You can scroll to the bottom of the page to see the full tutorial, or press play on the video and see all the little details in action! 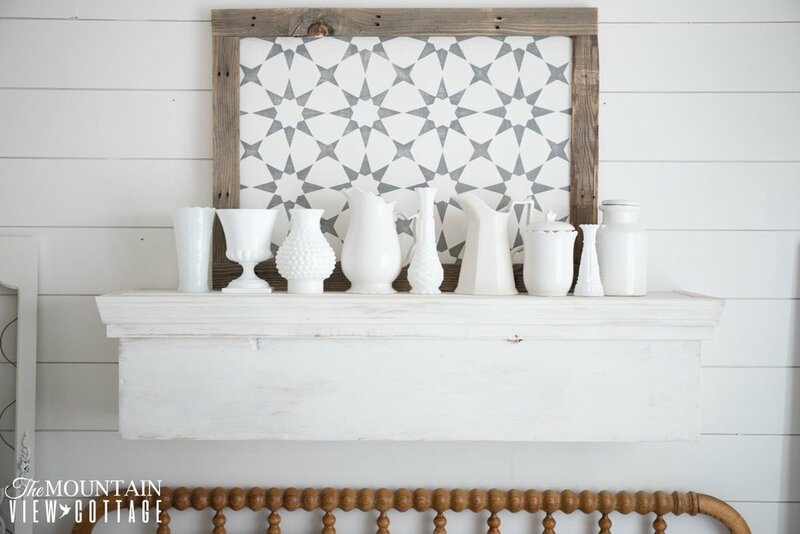 I hope you enjoy this farmhouse inspired DIY mantle-shelf! 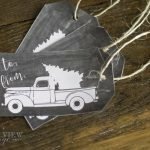 Be sure to link on over to the other amazing farmhouse inspired DIY’s on this tour and see what everyone has whipped up to share with you all!! for your convenience this post contains affiliate links. NOTE: I used scrap wood from my stash for this entire project this encompassed wood that was plywood as well as cabinet wood. 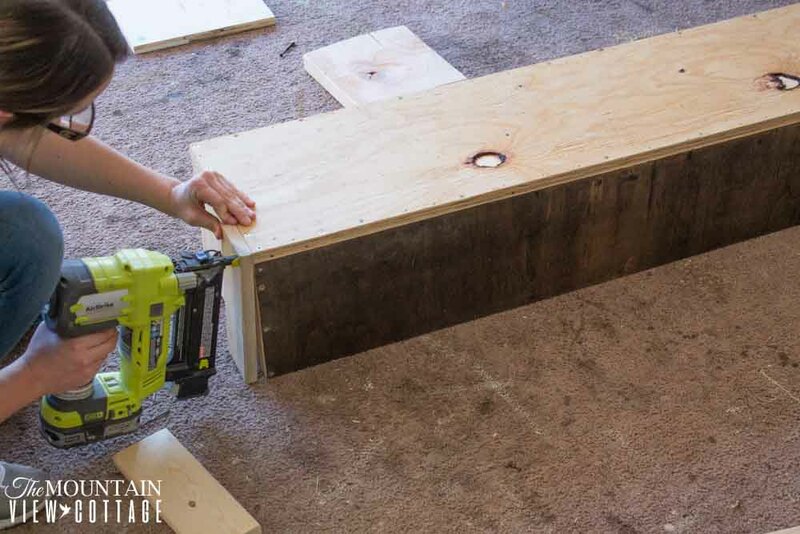 I used 8×4 foot pieces of wood that I cut to size using my table saw, but you can use pieces of wood with shorter widths that will make it easier to chop down to size using just a chop saw, or have these cuts made for you at your local home improvement store. 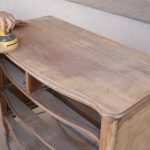 Dark Antiquing Wax- (creates a more rustic look)? To get started you will want to get your cut list taken care of. This is a great project to eliminate wood from your scrap pile if you have one and I have done just that. I used some left over cabinet wood for the top and bottom, a rougher piece of plywood for the front piece, and more cabinet wood for the side pieces. These were all originally 4×8 foot sheets of wood, that I purchased at my local hardware store and ripped down smaller with my chop saw and table saw. 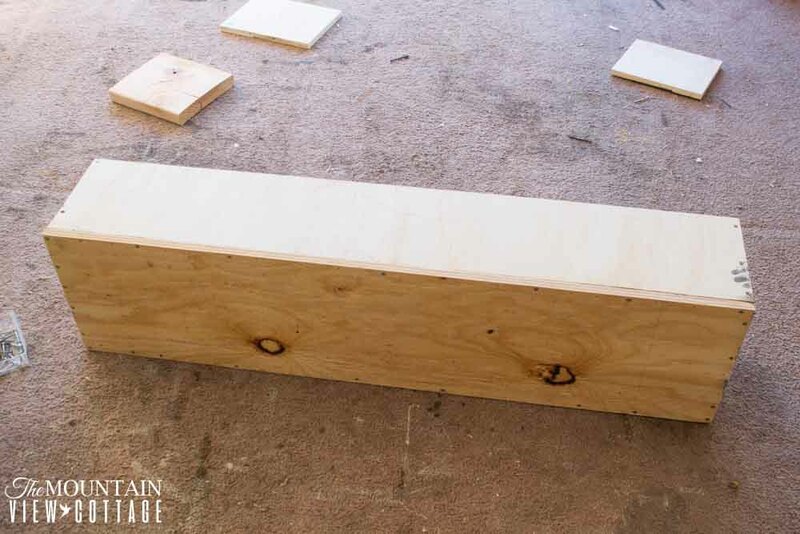 If you are starting from square one just purchase wood that is a shorter width in the lumber department at your local hardware store that will only require chopping the lenght down with a chop saw. Once you have your wood cut you’re ready to get started! 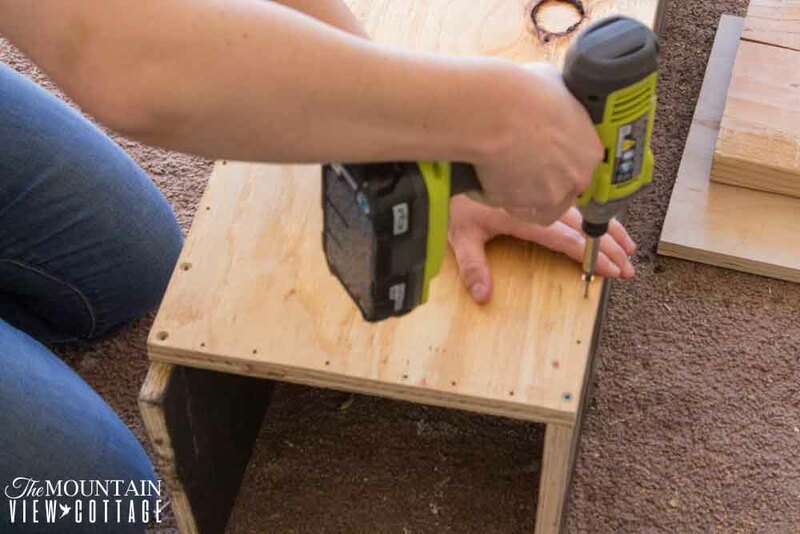 Start by using a Pilot Point Drill bit in the size 1/16 to drill holes for your wood screws in the front piece along the top bottom and both sides about 2-3 inches apart. 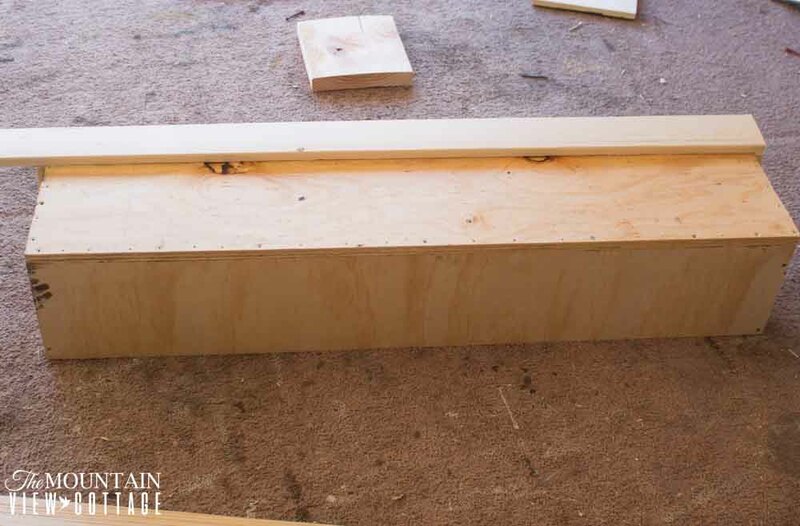 Make sure these holes are close to the edge, because they will serve as a guide to drill the front piece into the top bottom and side pieces. 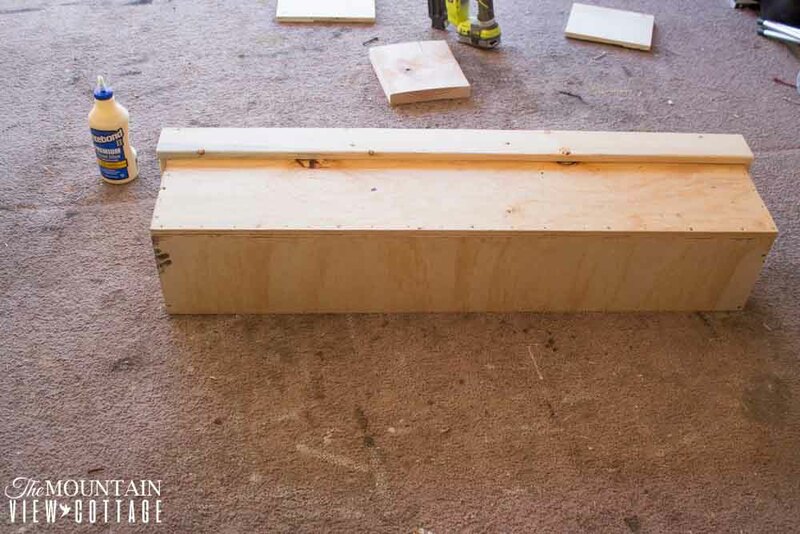 Helpful Tip: use some scrap wood underneath your front piece to give you several inches below the wood left to drill holes. This is so you don’t drill holes into the surface you are working on. Once you have drilled holes to guide your wood screws into. Prop the front piece onto the sides of your top and bottom pieces as shown below. It helps to prop heavy items (I used 2×4’s) in the middle and sides of the top and bottom piece to hold them upright before setting the front piece on top. 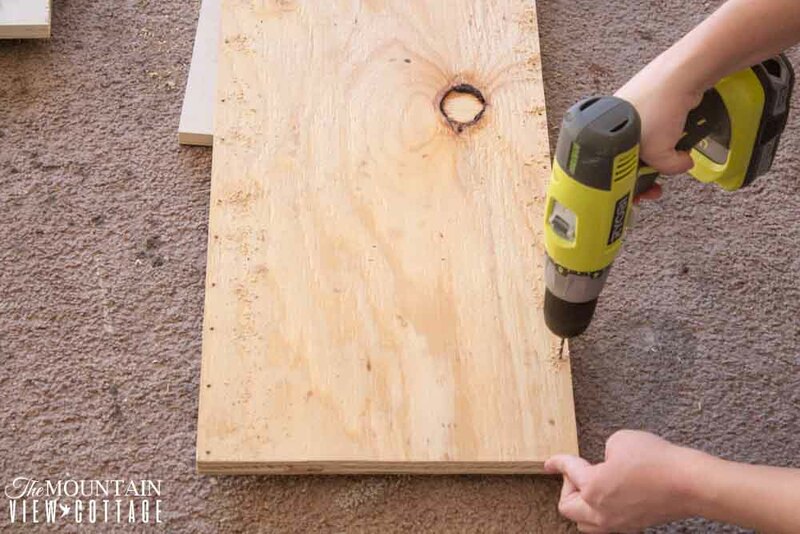 Then use your drill to screw in your 2″ wood screws. Don’t Forget! 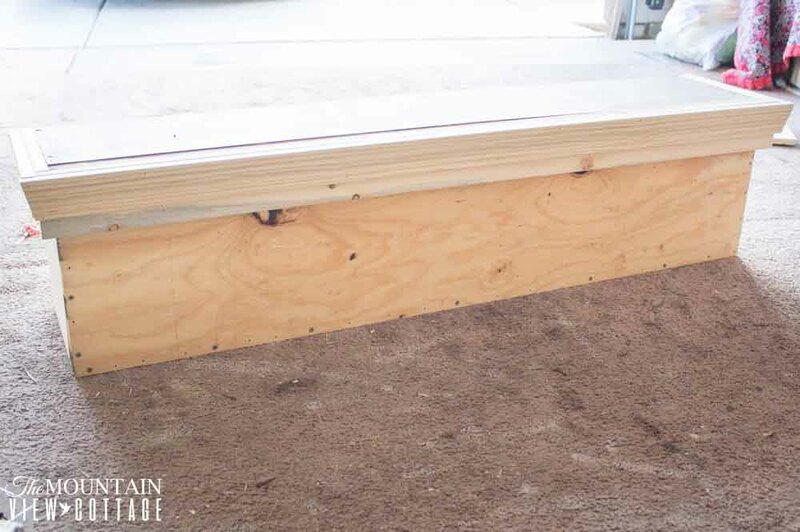 Make sure the wood is lined up correctly and flush before you start drilling your screws in. Repeat for both the top and bottom pieces. Here is what it should look like once the front piece has been screwed into the top and bottom pieces. Now that all three long pieces have been joined together its time to add the small side pieces. Wedge the wood into the 3 pieces of wood making sure it fits perfectly. You may need to make some small cuts before proceeding. 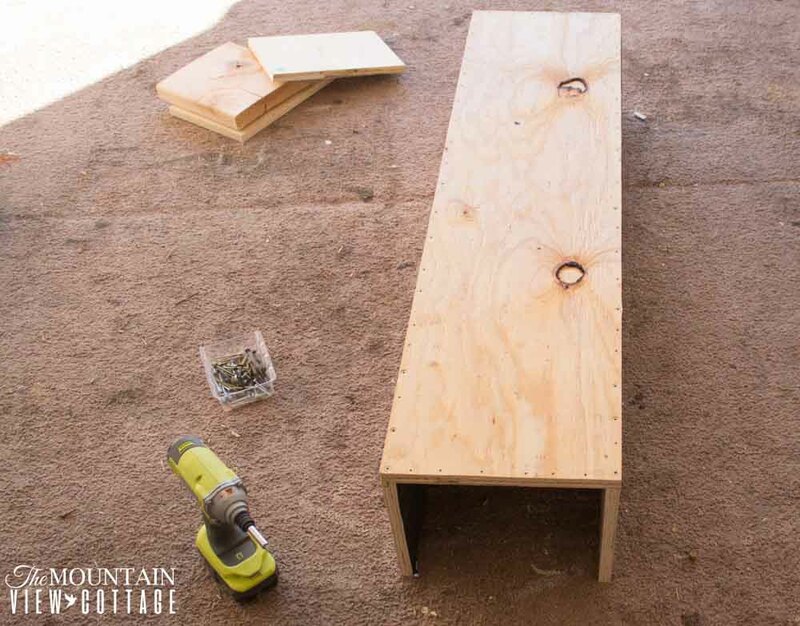 Once the side pieces fit perfectly, go ahead and start by screwing more 2″ wood screws down from the front piece into side pieces using the holes as your guide. Once all 5 pieces have been joined together you will have a long box that looks like the image below the back will remain open to hang on the wall. 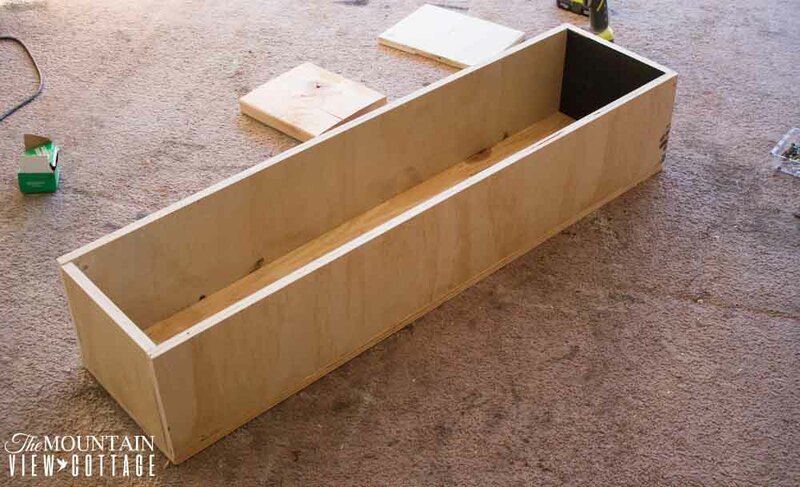 Now that your box is made you are ready to add the layers of molding. 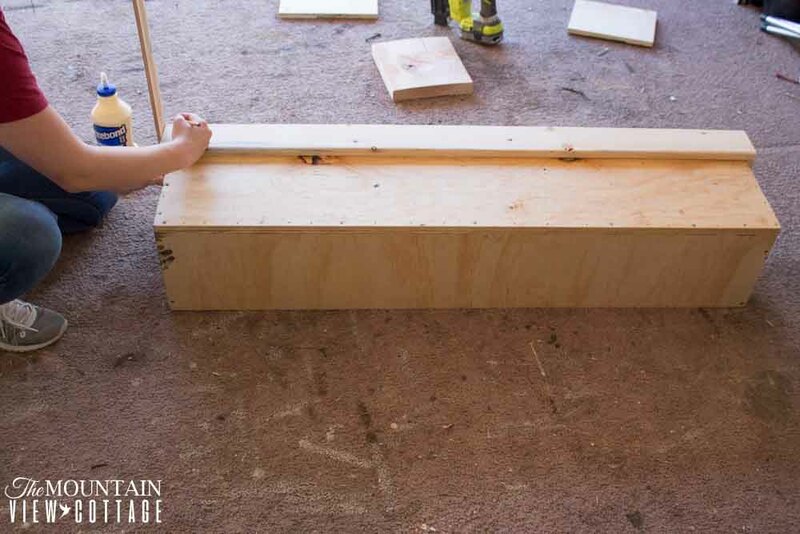 Start by taking your 4″ piece of wood and measure with a pencil mark how long it needs to be to fit the side of your box. Then cut two incidental pieces with your chop saw. PRO TIP using the actual box as your measurement will insure that your cuts are exact! 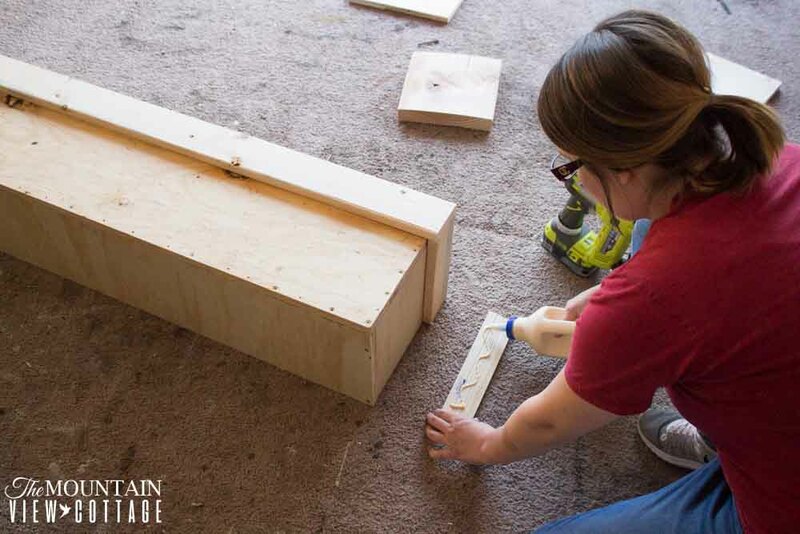 once your 4″ side pieces are cut, apply a little wood glue to the back and then secure it to the top of your box with your nail gun and 1 1/2 ” nailing brads. Next measure the length of the 4″ piece for the front of your box making sure to account for the two pieces that have been now added to each side. 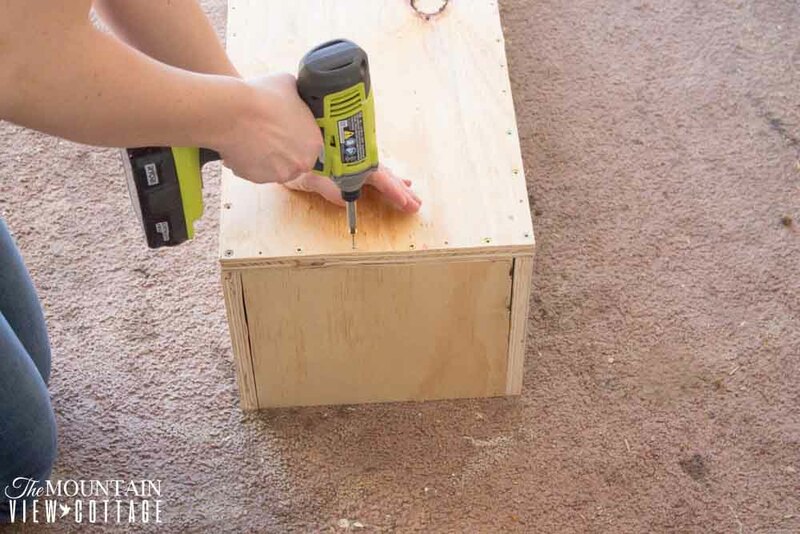 Once you have made your cut using your chop saw, adhere it to the front top of your box using wood glue and your nail gun. Now it is time to apply the molding wood. Measure the side pieces first and cut 2. 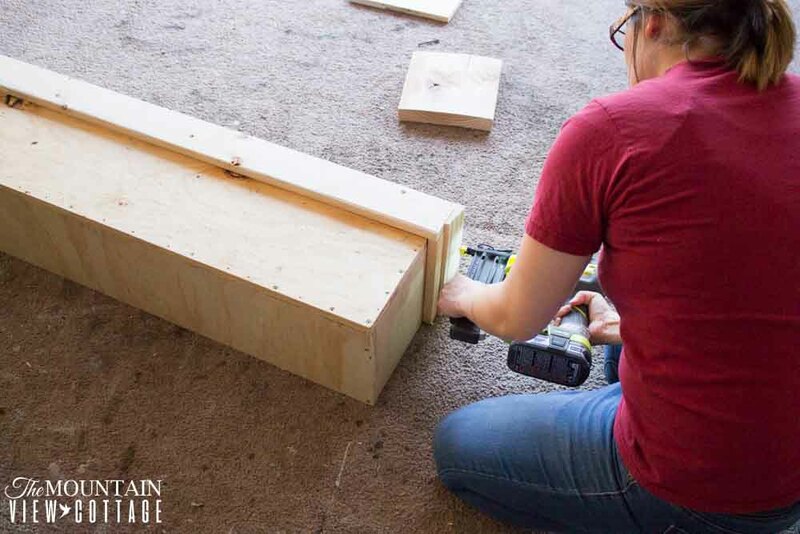 And then securely fasten it to the top of your box on top of the 4″ piece with your nail gun the tops should all be flush with the top of the box base you originally created. Then measure the molding for the front piece. 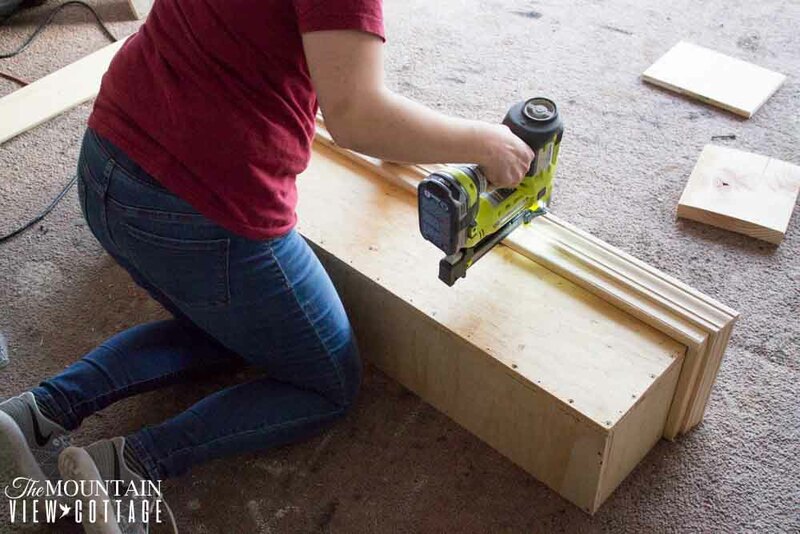 You will notice that as you go to measure with your pencil this time your cuts will need to be slightly angled use your pencil and mark the exact angle on both sides and cut along these lines with your chop saw to ensure that the last piece of molding fits perfectly on your mantle shelf. 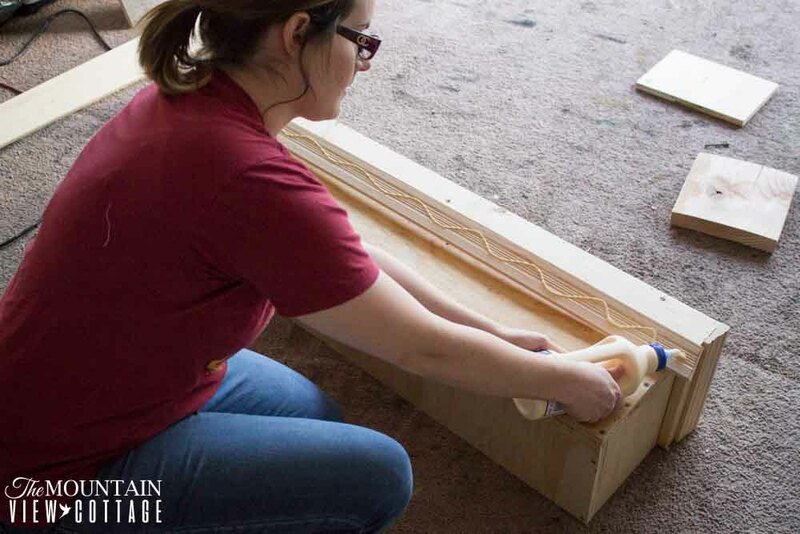 Use glue again on the back of this molding piece but not before double checking that this final cut fits correctly on the front of your mantle shelf. 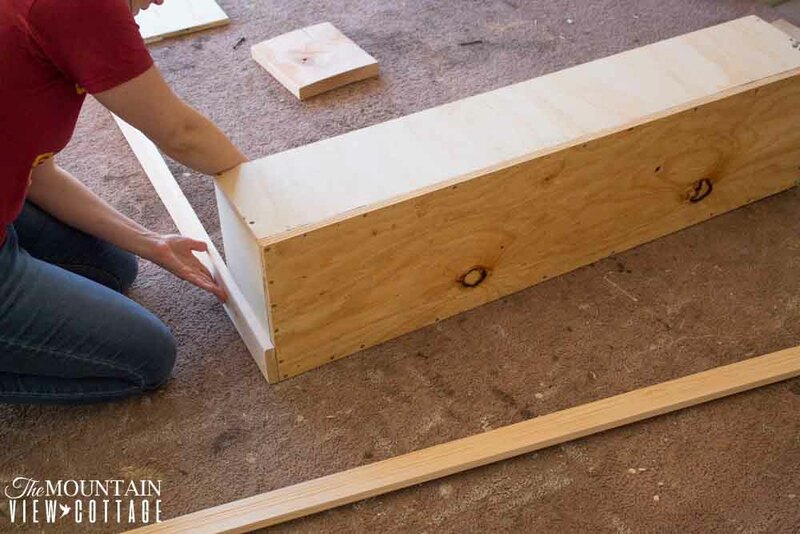 flip it over and securely fasten the top piece of molding to the 4″ piece of wood making sure that all pieces are flush with the top of the shelf box. Use your nail gun to secure it. When you are done with all the above steps you will have a shelf that looks like this! 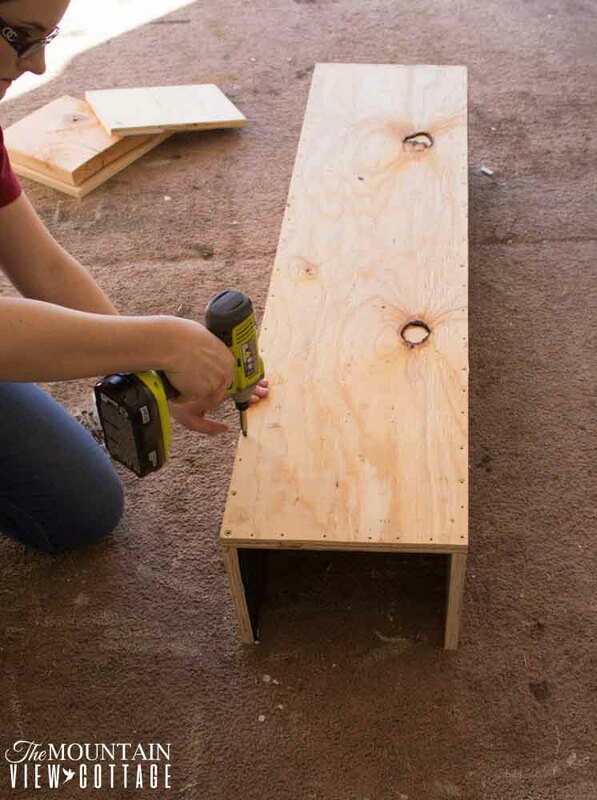 Use wood putty to fill in any holes created by the nail gun, drill or pilot holes and let dry.? Sand down the surface so it is nice and smooth and ready for paint! I used a foam roller and flat latex paint in the color swiss coffee to complete the finish on my shelf. I then went in with Amy Howard’s dark antiquing wax on a dry brush and dusted it along the whole surface wiping the excess clean with a damp rag. Don’t hesitate to use the dark antiquing wax if you apply to much you can always brush over it with the white paint. Here’s what it will look like once you are all done! to hang it on the wall I screwed a 2×4 into the studs and then placed the open back onto the 2×4 and screwed the top of the shelf into the 2×4! this will ensure that even if you hang heave items on it it wont budge! 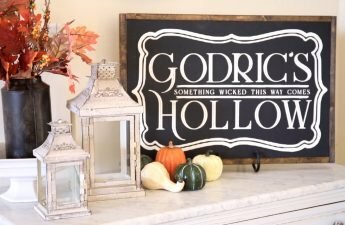 One of the reasons I love this project so much is because I love to switch things up in my home from one season to the next! This shelf makes it so easy for me to transition my home decor with out putting tons of holes in my wall all the time! I am so excited to decorate this for spring! I hope you enjoyed this tutorial and I cannot wait o see the shelves you make for your own homes!!! 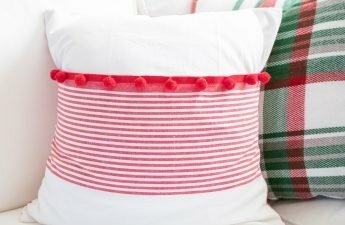 Be sure to check out the other easy farmhouse DIY’s that 10 other bloggers are sharing for the new year before you go! You don’t want to miss ?what these ladies have in store!! I’m always so gaga over your spaces! 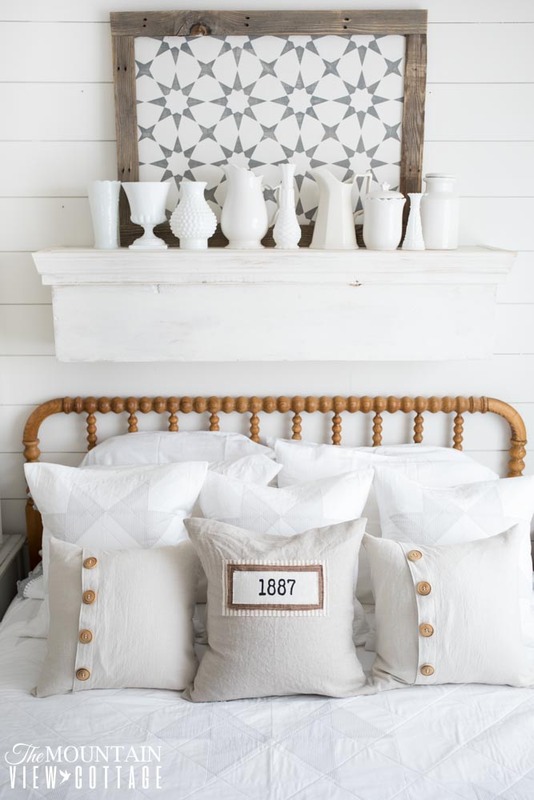 I love this chunky, farmhouse shelf and it inspired me to think of a space over our guest bed that needs filled! Great job. This is so amazing Haley! I love it!